On behalf of Election commission of India (ECI) a Voter Awareness programme for New Voters was conducted by the SDM office, Kanjhawala at JIMS Rohini on 5 April 2019. 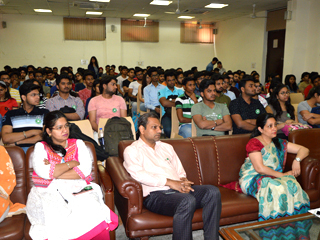 It was attended by the staff and more than 200 BBA and BCA students of JIMS . Dr. Pooja Jain, Director JIMS welcomed Mr. Tapan Jha, Nodal Officer, who gave an impressive account of the electoral process, with focus on increasing the voter turnout for general elections 2019. 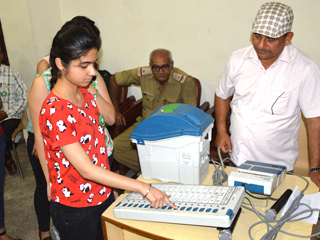 Mr. Jha elaborated upon the voting process and explained the technical upgradation of the voting machines. All the students participated in the ‘I will vote campaign’. 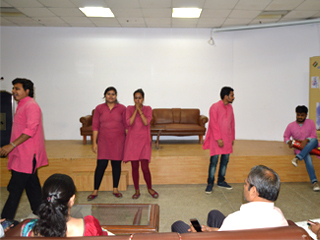 A nukkad natak was performed and melodious jingles were shared to motivate the first time voters. 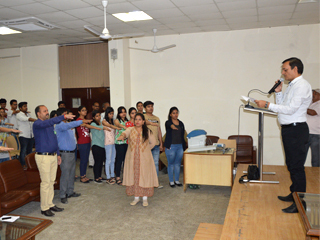 The fun-filled session had a strong message for young audience to participate in the democratic process.